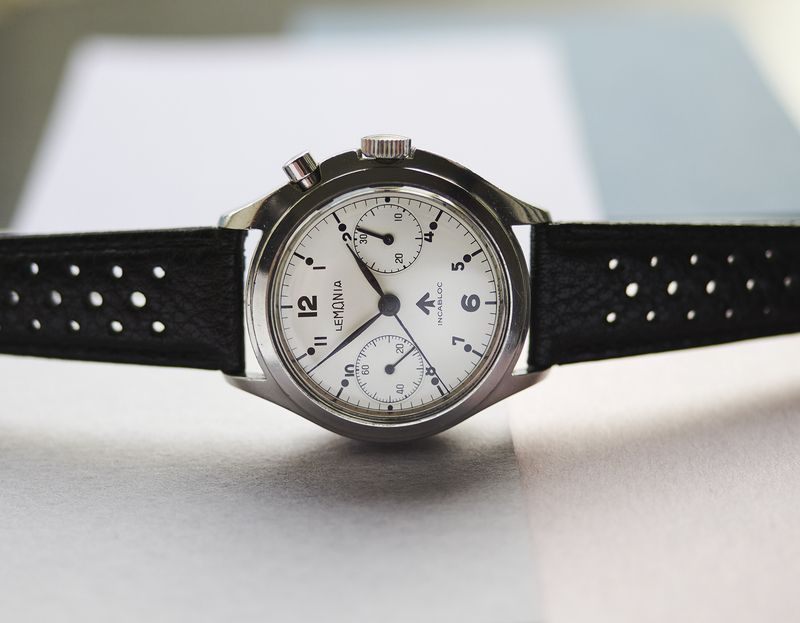 Issued to the british nuclear submarine officers in the 60s and 70s. 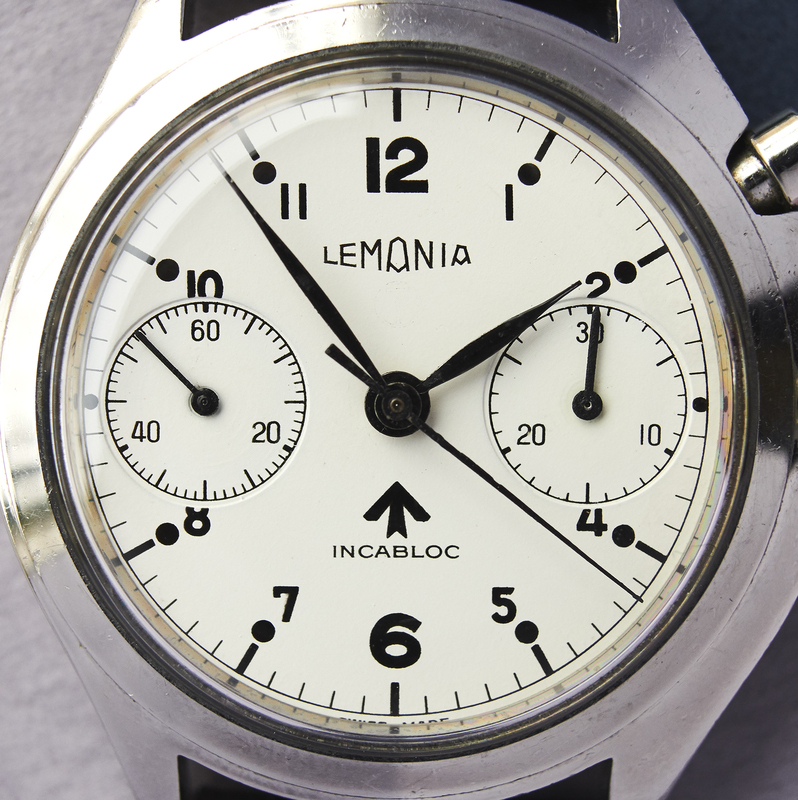 This special version of the 0552/924 was produced without lume on the dial and hands, not to disturb the radiation meterings on the nuclear submarine. 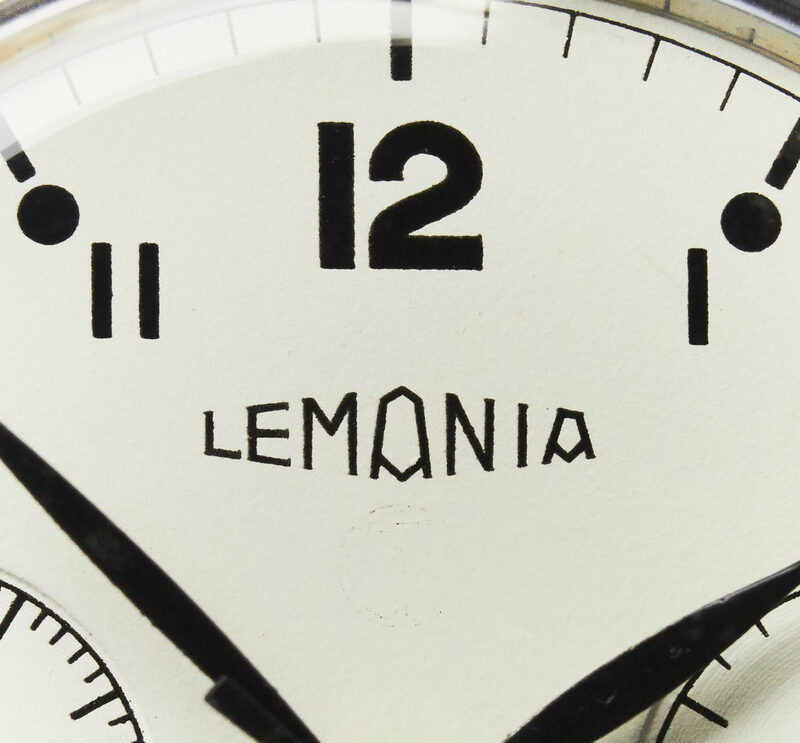 A very interesting fact, beside the crossed an corrected refferencenumber on the caseback is also the blinded „T“ under the Lemania writing which is still to see very slightly. 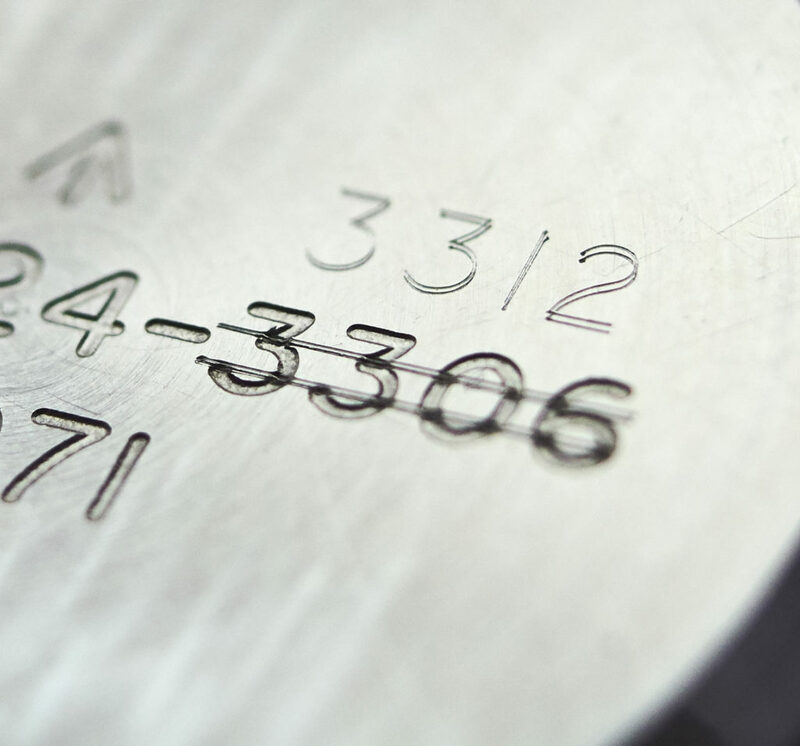 These two marks are typical exceptions of this nolume execution compared to the the standart version of the 0552/924-3306. 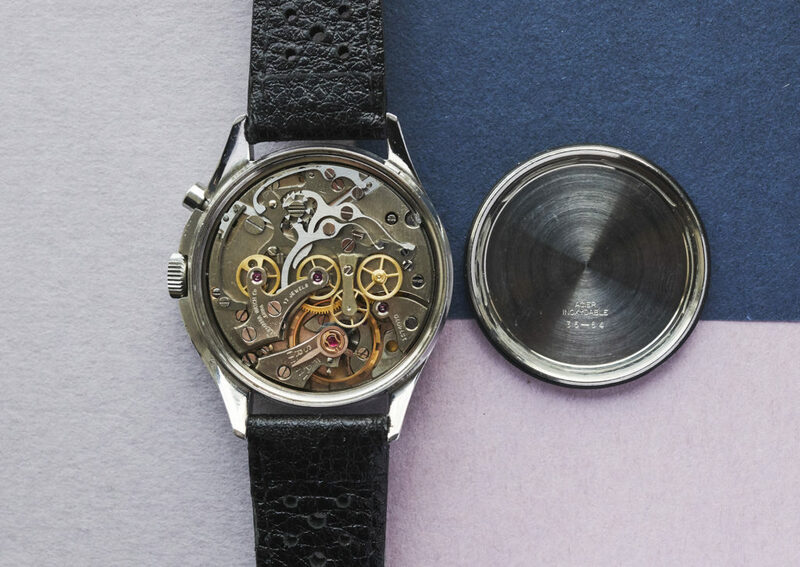 These pieces were only built with white dials and have allready reached high results in auctions like in Dec. 2017 at Bonhams. 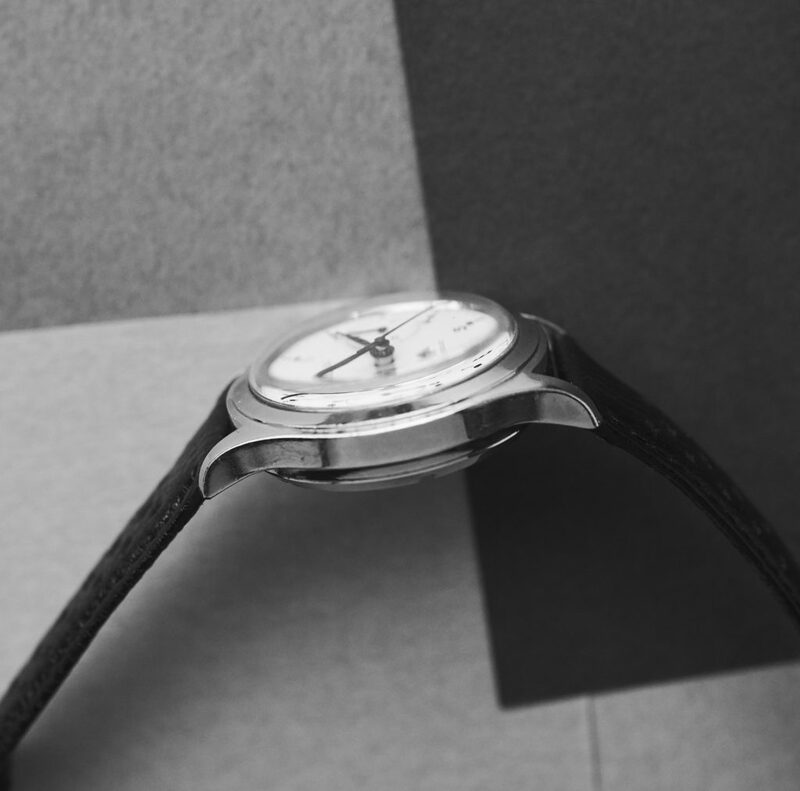 This individual piece here comes with a flawless, unmolested dial and original baton hands. 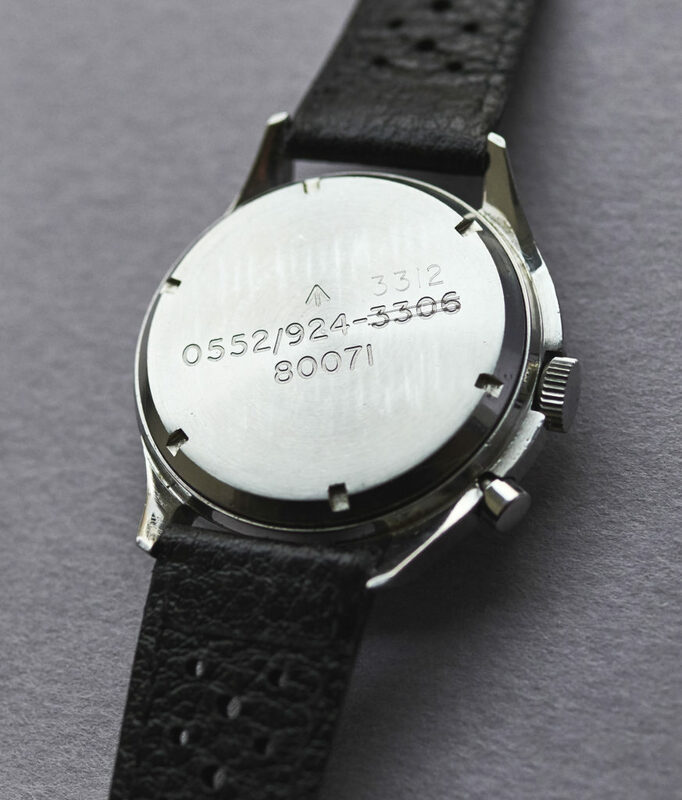 The issue engravings on the caseback of this 39mm case are clearly readable and have never been overpolished. 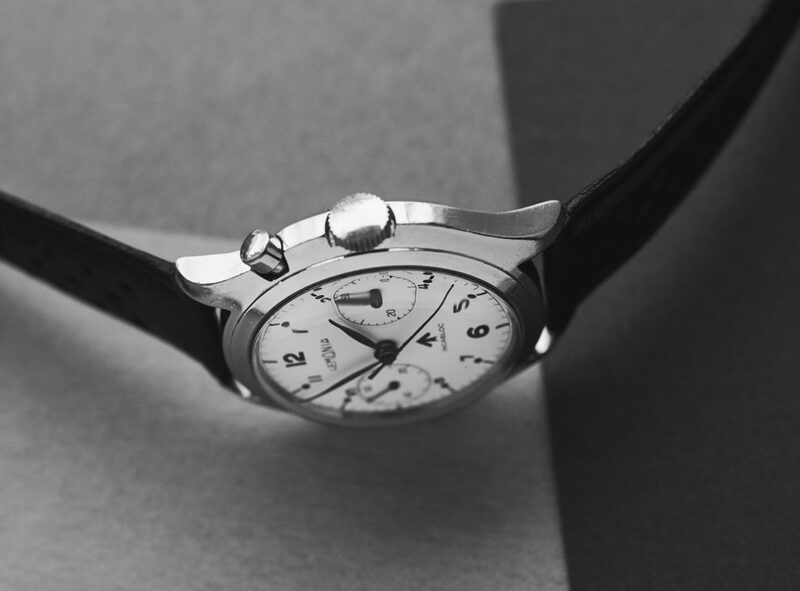 The beautiful Lemania caliber 2220 is in a great condition, running exactly in all functions. 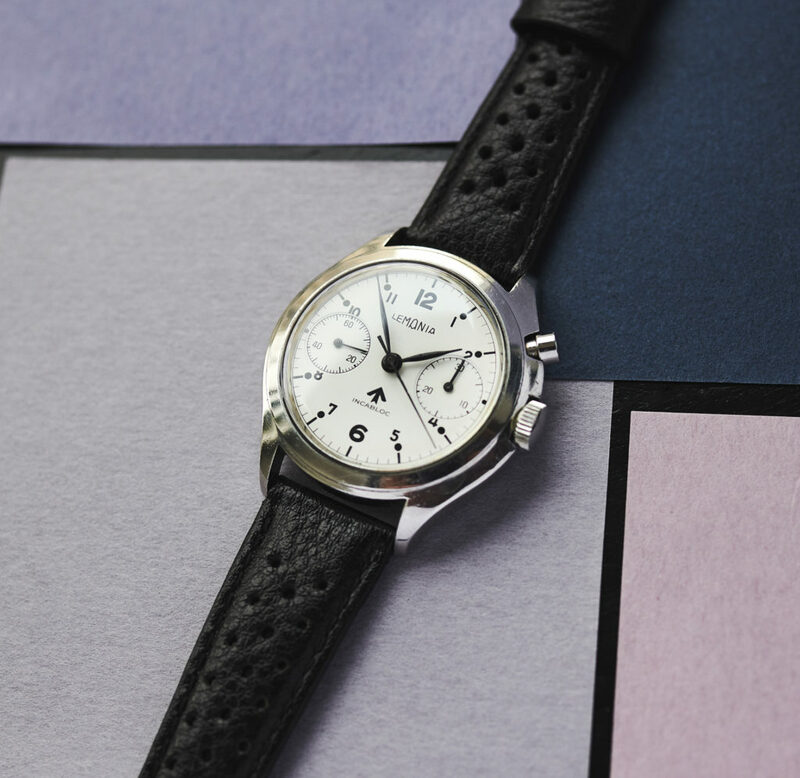 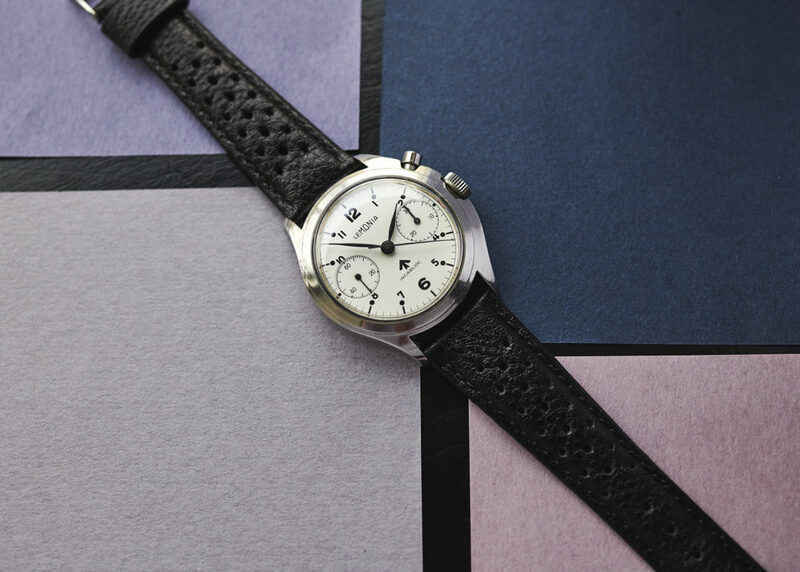 The watch comes on a black leatherstrap and in addition a blue-white natostrap.